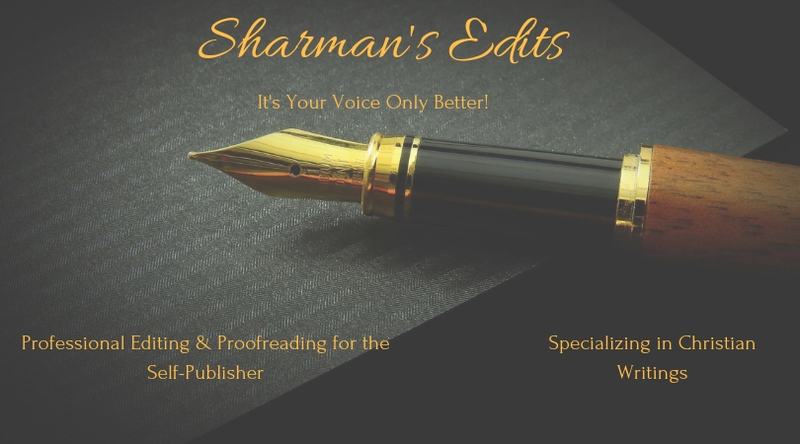 Pricing – Sharman's Edits: It's Your Voice Only Better! 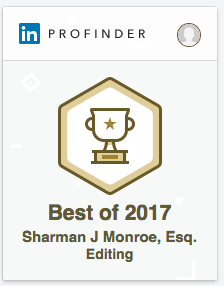 Sharman's Edits: It's Your Voice Only Better! You’ve finished your book! Congratulations! Now it’s time to have it edited and proofread. I understand that you probably don’t have thousands of dollars set aside to pay for an editor, particularly if you are a first-time author. No worries! I will work with you on cost, hence you get a customized quote! If this isn’t your first foray into writing, you get a customized quote too! 1. Basic editing and proofreading. Simple. Your manuscript is read to make corrections to grammar, verb tense, subject/verb agreement, punctuation, spelling, and sentence structure. 2. Content editing. More work here. Your manuscript is read and basic editing and proofreading is done. In addition, I edit content for overall quality, for readability, for logical flow of thoughts and paragraphs and for gaps in information and inconsistent information. Content editing also includes suggestions for improving quality of your manuscript. All this is done without changing your voice. After all, it’s your book! If requested, I can add a copyright page, page numbering, and headers. 1. For general manuscripts, I use the Chicago Manual of Style. 2. For Christian faith-based manuscripts, I use the Christian Manual of Style to make sure scripture and other religious materials are cited correctly. Flat rates* and payment plans are available. Non-disclosure agreements are provided if desired. For more information, Contact Me. *A cursory review of your manuscript (five pages) is require before a flat rate can be negotiated. My Journey To Me-TheDiscovery by Sharman J. Monroe is licensed under a Creative Commons Attribution-NonCommercial-ShareAlike 3.0 Unported License. Based on a work at www.myjourneytome-thediscovery.com.